This week, the Weekly Photo Challenge is “Beyond”, and the Wild Weekly Photo Challenge is” People-in-Nature” . 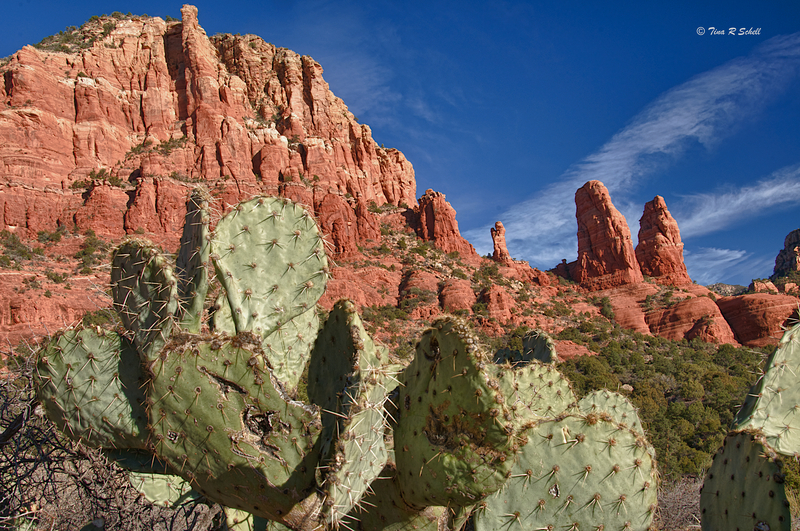 My visit last week to Sedona, Arizona presented me with opportunities to address both. For two lovely days, my husband was the perfect sherpa as I shot to my heart’s content all over this amazing area. I overcame my sincere dislike of waking early to catch the sunrise over the red rocks. It was quite cold but consequently most of the tourists decided to stay in their warm beds and we had our chosen post to ourselves, except for one other photographer (top) and a lovely sunrise seeker (above). Perhaps because we were in one of the Sedona “Vortex” areas, we all communed nicely with one another and with glorious nature. 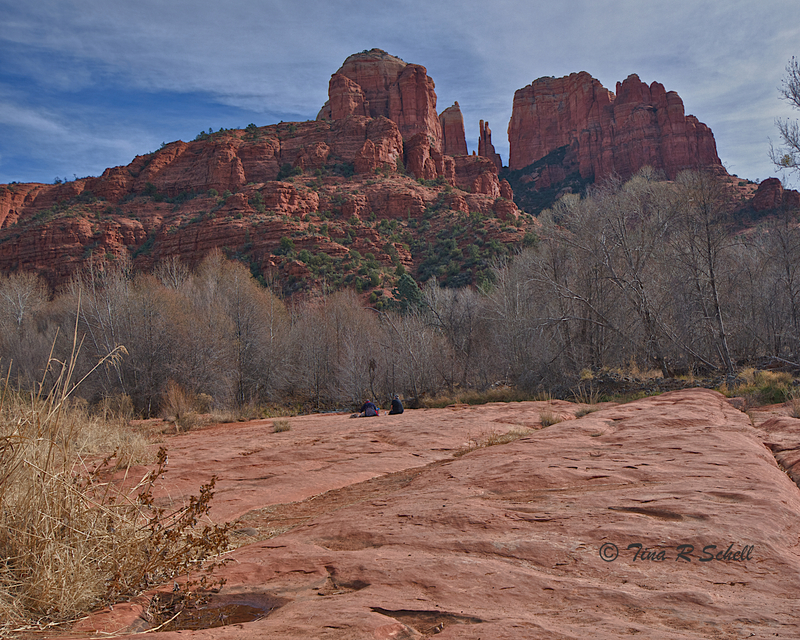 Apparently, the five vortex locations of Sedona are well-known, and are sought by many, such as the two women above, for their spiritual energy (yep, those little black spots are two people at the end of the plateau!). The vortexes are purported to facilitate prayer, meditation and healing. For me, simply observing the incredible beauty of the environment was more than enough to energize me. 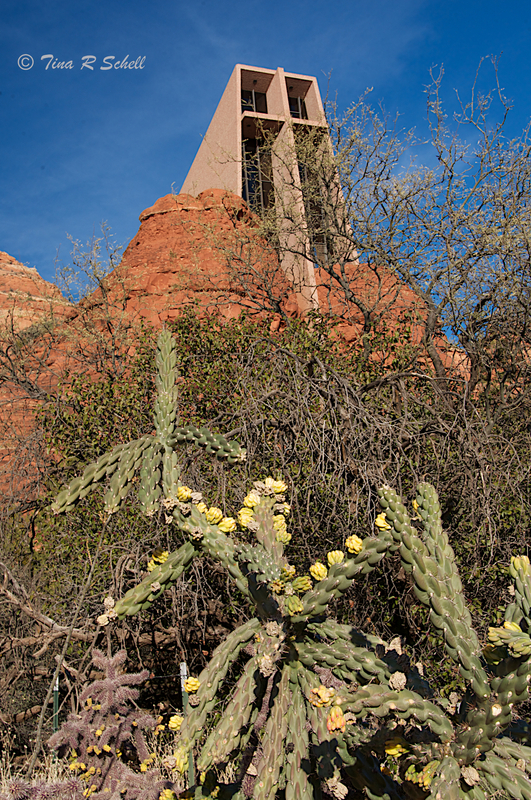 After sunrise, the day warmed up beautifully and we journeyed to another vortex spot, The Chapel of the Holy Cross, to shoot the beautiful light just before sunset. 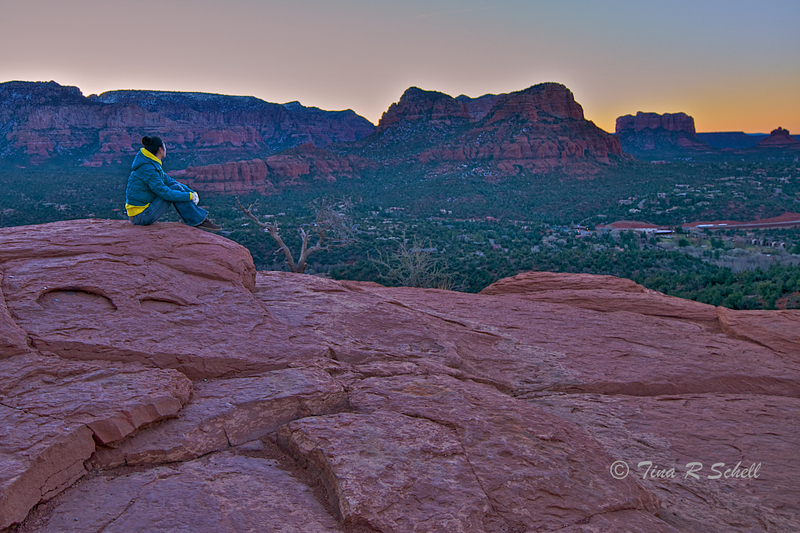 Finally, a shot which for me rather defines the mysteries of Sedona. If you are open to it, whether because of its beauty or because of its mysterious vortexes, for at least a few moments you can bridge the divide between everyday life and the power of spirituality. I’m participating in the online adventure travel and photography magazine LetsBeWild.com’s Wild Weekly Photo Challenge for bloggersThis week’s Challenge is: People in Nature! For more BEYOND Weekly Challenge Posts, go to here. And last but not least, this post is also linked to Ailsa’s Travel Theme of the week “UP”. Check it out here. Thanks for the link. It certainly did my memory a lot of good to see these wonderful photographs. You are well worth following. 🙂 That’s what I think. Hmmm….and you may be my new favorite commenter 🙂 Seriously, many thanks Cris! I’m looking for a quality website such as travelsandtrifles.wordpress.com to place some advertising on your site. You will be pay to display advertising. Hi Wayne. Thank you but I am not interested. A lot of times, life’s responsibilities and demand make us forget to enjoy and savor life itself. Today, you reminded us to truly see, breathe and cherish nature and everything around us. ““See beyond what the eyes can see, believe beyond the inspiration.”” Thanks. My pleasure 🙂 Thanks for your comment! Love your photos. They bring back memories of my trip to Sedona. Thanks so much Francine. Such an amazing place. Thanks so much! And yours is beautiful! Beautiful images of a beautiful place. The quotes really add to the feeling. the great beyond is an amazing image! Thanks so much Lisa! A lovely compliment from a wonderful artist! This is a great selection of sots! Thanks very much for your compliment and for stopping by! Lovely colourful post a very alternative arty place from what we gathered ! The rocks just sing out with colour there . Listen with what is deeper than what can hear. Love it Thomas! Thanks for stopping by! 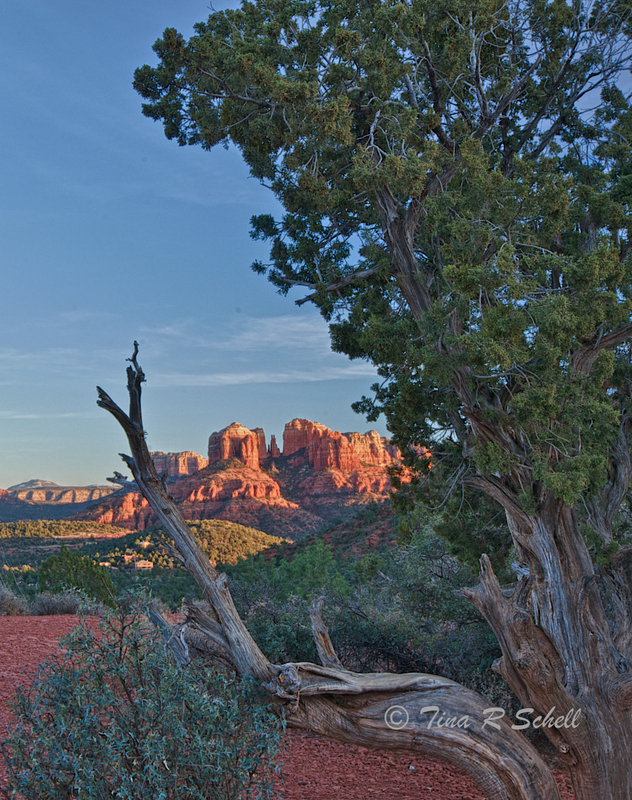 I’ve never been outside of Phoenix on my visits to Arizona, so it was a treat to see Sedona through your lens. Beautiful! These are excellent photos for the challenge, Tina. You’ve captured some amazing scenery. Thanks so much Gracie. Lots to be captured! Wow!! These photos are beautiful. I can feel the energy just looking at them. Thanks for taking me there! Beautiful post, Tina! I love how you said about bridge the between everyday life and the power of spirituality. Thank you for your insights! Thanks to your commanding shots and commentary, Sedona is now on my bucket list. Bailey as a sherpa~that’s a hoot! Forgot to mention—great quotes, too! Thanks for giving us a peek at “the great beyond”. It’s beautiful. 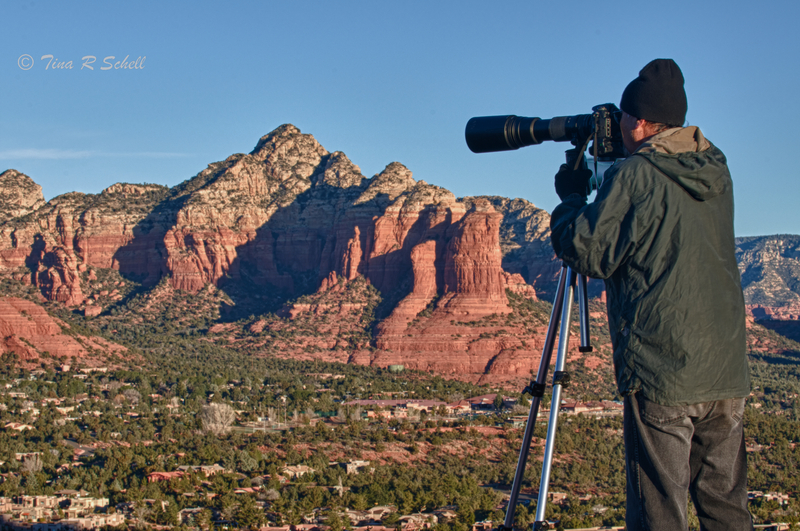 Tina, great to see the Sedona area through your lens. Especially liked the great beyond. Thanks Jane! Have to do a full post on it, just wanted to submit for the theme. It was fantastic but I’m happy to be home. Interesting shots. 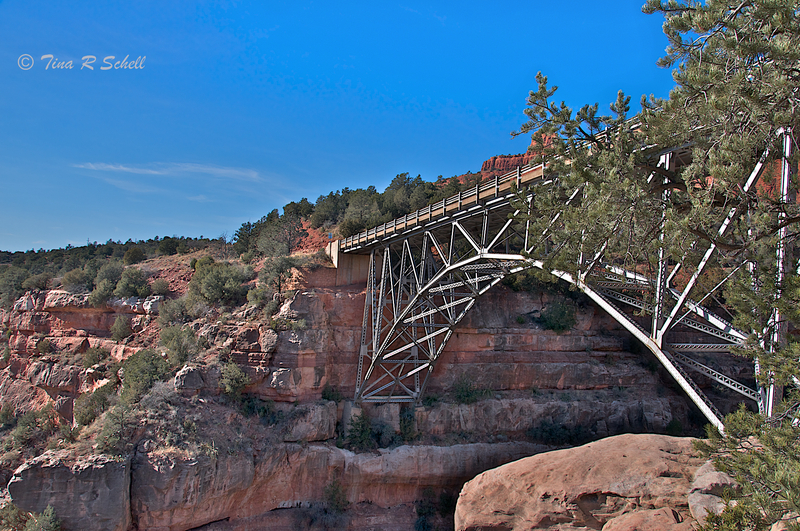 Glad you loved Sedona! Thanks Jane – focused on the themes 🙂 Good to be home.